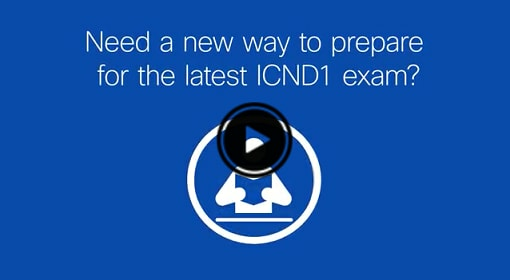 Try a free evaluation of ICND1 v3.0 now. Cisco E-Learning for ICND1 is an e-learning solution designed to help prepare CCNA Routing and Switching candidates for the exam topics covered by the 100-105 ICND1 exam. This training supports and displays text in English, Japanese, and Chinese. Please note: videos are only available in English and Spanish.